There are 2 ways of deleting an album. 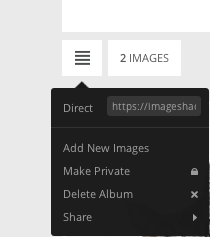 The first is to go to the Albums page of your account, click on the menu button of the album you would like to delete and select the Delete Album option. 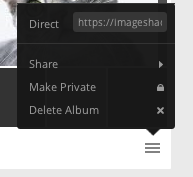 The second way is to go into the album that you want to delete, click on the menu button in the upper left hand part of the screen and select the Delete Album option. Please note that when you delete an album, all the images that are in that album will be deleted as well so be sure to remove any images that you don't want to lose before deleting an album.